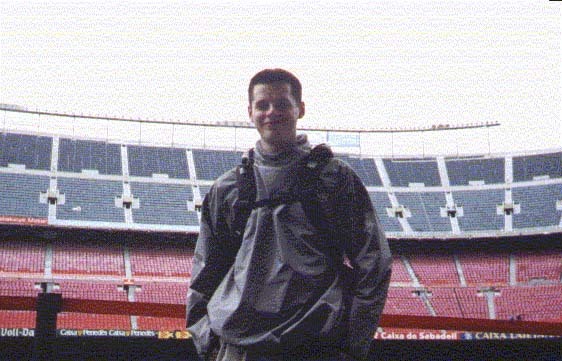 From the 15th to the 20th of November 2001 I went to visit Barcelona with one of my brothers. 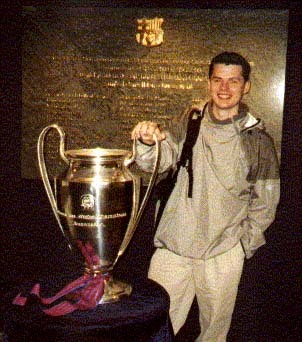 Here are a few pictures of my recent visit to Barcelona, Including getting my hands on the European Cup! There were plenty more pictures taken on my holiday, but I didn’t have the time to scan in too many (I can barely remember the time before digital cameras now). 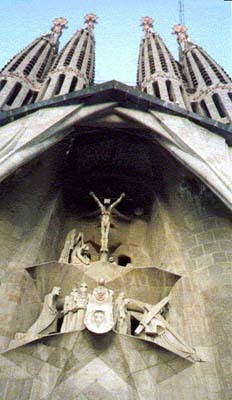 The Sagrada Familla was one of the first places I visited in Barcelona. 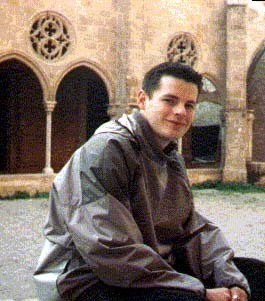 The cathedral is still under construction, it began in 1882! First Day, first stop FC Barcelona. The second biggest football stadium in the world, seating around 100,000. 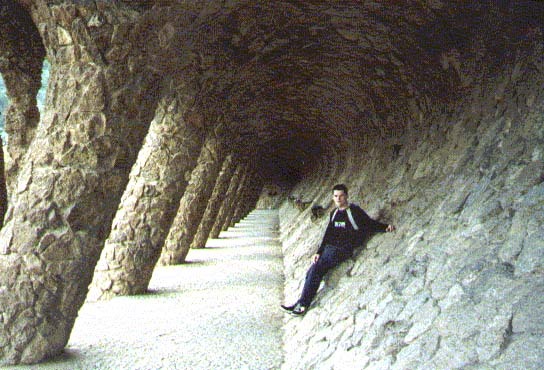 The Parc Guell is full of interesting architecture, and great views of the city. 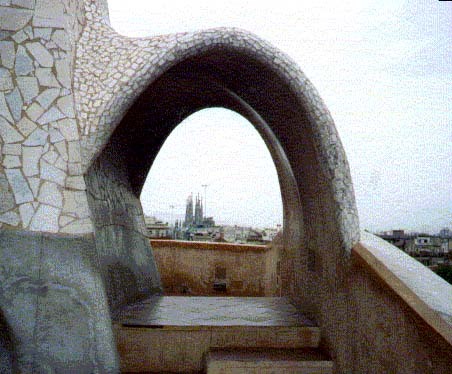 An Arch on the roof of the Casa Mila La Pedera, in the background another of the architect, Antonio Gaudi’s, work can be seen, the spires of the Sagrada Familla. The European Cup, the highest prize in European football and I had it in my hand! …well only a duplicate stored at FC Barcelona, but hey it’s still pretty cool. 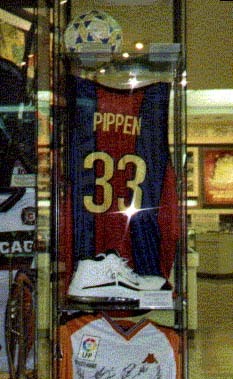 In the Football museum, proudly displayed is Scottie Pippen’s signed “Barcelona” Basketball shirt.